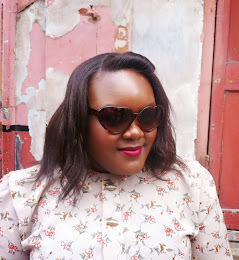 I’ve always wanted my blog to be more than pretty dresses and make up (although I do love the simplicity of it), and I have written personal and conversational pieces in the past - and here’s another. I love writing and getting my thoughts out in the hope that I’m not alone in this vast world. So today I want to talk about a personality trait that has been imbedded in me since birth (probably). Hi, I’m Isha and I’m an introvert. How do I really feel about being an introvert? Most of my friends are extroverts and incredibly social and will literally talk to anyone. I love this about my friends and is indeed a huge reason why I gravitated towards them in the first place. However, I can honestly say that I’m not envious of this trait. The thing is that non-introverts often mistake being painfully shy with being anti-social. I would consider myself an extremely friendly person and I love meeting new people, and I’m always happy when I make a new friend; but the idea of being the initiator and putting myself out there scares the heck out of me! I think that’s why I love writing so much. I feel there is a protective barrier between myself and the reader but still being myself and completely open with said reader, but doing it “in real life” and wandering over to people mid-conversation is something I would never do, and although I concede this can be seen as standoffish or unfriendly, I just can never bring myself to do this. I don’t think people who do not suffer from social anxiety realise how the seemingly “easy” thing of talking to a group of people whether you know them or not, is incredibly daunting. It’s almost like introducing yourself again and hoping - praying that you’re still someone others wish to speak to. I get it, it sounds odd, but it’s a real thing. For example, going to events whether they are brand organised or blogger community organised, is something I personally find difficult. Walking into a room full of people and desperately scanning the room for someone, anyone to give an inviting smile, is heart-stopping stuff. I have missed so many blogger organised events because of this and I kick myself every time I see what a great time everyone has had that I didn’t just take a deep breath and go. But I’m an introvert and thus, it just ain’t going to happen. But why is this a bad thing? Why is being an introvert seen as such a negative thing? Even when I was looking up the array of meanings for introvert, one of the meanings I found was “…a typically self-centered person.”, whereas the extrovert was described as “outgoing” and “concerned with external things.” If you’re an introvert you’re told you’re wrong before you’ve even started and that your extrovert counterpart is what you should aspire to. Plus, I’m not fond of the notion that dealing with things internally makes someone self-centered. We all deal with aspects of our lives the only way we know how, and being an introvert means that some may indeed keep things in, but that does not make one “self-centered”. I’m comfortable in the fact that I’m never going to be the life and soul of any party (if I even go to the party! ), and I know that I’m hardly on the top of anyone’s list of people to pick for a fun night out (but then it depends on what your idea of fun is), but I also know that my friends value me because I’m a fiercely loyal, dependable, caring, nurturing understanding, honest and committed friend. I know they wouldn’t change the way I am and thankfully, I wouldn’t want to change who I am either. I really like the person I have become in the years where I finally stopped trying to be someone I wasn’t. Those wasted teenage years of appeasing anyone and everyone just so I could fit in but losing my identity at the same time are not happy memories for me. Turning the corner and refusing to do or say anything I didn’t want to, embracing my true self (both physical and mentally) has to be one of my biggest achievements because it’s not easy to be unapologetic of a trait people deem undesired. I see people trying way too hard to be anything but themselves in some of my friends, certain aspects of the blogger community, at work, and in the general public in how they interact (yes I’m a weirdo who likes to people watch). I remember how exhausting it was to be like that, and I guess all I would say to anyone who knows they’re not the loud, exuberant, laugh-a-minute “ideal” that society would have us think we should be, believe me: IT’S OK TO BE AN INTROVERT! It’s ok to be awkward and nerdy, its ok to have a small group of friends who love you rather than a plethora who don’t, it’s ok to be monogamous and in love, and it’s ok to be single and genuinely happy to be so…or not! There are no rule makers to your life other than yourself and you’re awesome the way you are. So go and book that solo ticket to a gig or movie, go on that solo trip to the museum and enjoy it! Hi, I've just discovered your blog and I firstly zoomed in on this post in particular. SO much of it resonated with me! 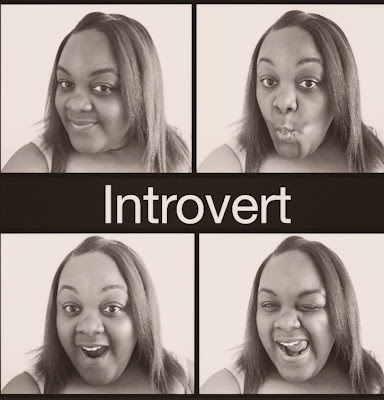 I love the way you have put it, ain't nuttin' wrong with us introverts it's just the way we are!